The metabolic syndrome refers to that constellation of risk factors that increase the likelihood of such potentially life-threatening conditions as coronary heart disease (CHD), stroke and diabetes. It is now estimated that some forty-seven million individuals currently suffer from metabolic syndrome within the United States. The size of this at-risk population is a cause for concern from a public health perspective. On account of the fact that this population is growing strongly suggest that there are environmental factors involved and that need to be explored. · “A large waistline. This also is called abdominal obesity. Excess fat in the stomach area is a greater risk factor for heart disease than excess fat in other parts of the body, such as on the hips. · A low HDL cholesterol level (or you're on medicine to treat low HDL cholesterol). 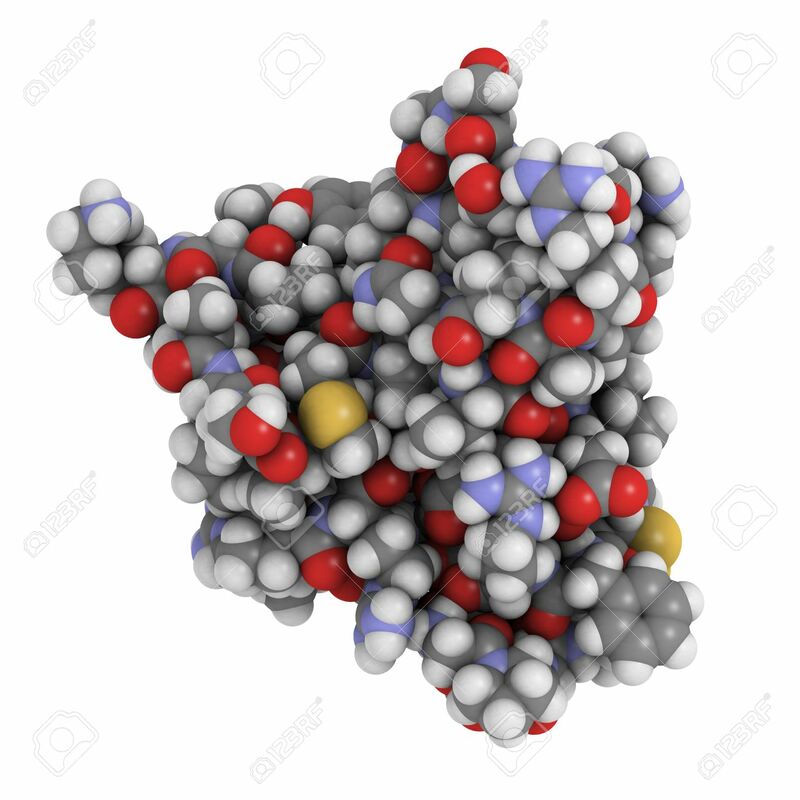 HDL sometimes is called "good" cholesterol. This is because it helps remove cholesterol from your arteries. A low HDL cholesterol level raises your risk for heart disease. · High blood pressure (or you're on medicine to treat high blood pressure). Blood pressure is the force of blood pushing against the walls of your arteries as your heart pumps blood. If this pressure rises and stays high over time, it can damage your heart and lead to plaque buildup. The projected risk for heart disease, diabetes, and stroke increases with the number of metabolic risk factors presented. The risk of having metabolic syndrome is also closely linked to obesity and a lack of physical activity. Insulin resistance is a definitive risk factor for the metabolic syndrome and is strongly associated with Type II Diabetes. Insulin is the small protein hormone produced by specialized cells of the pancreas (Islets of Langerhans). Insulin (see image below) is produced in response to the presence of elevated glucose in the blood – usually following a meal – and is responsible for regulating glucose levels in the blood. Insulin resistance refers to that condition in which the body fails to use this hormone properly.